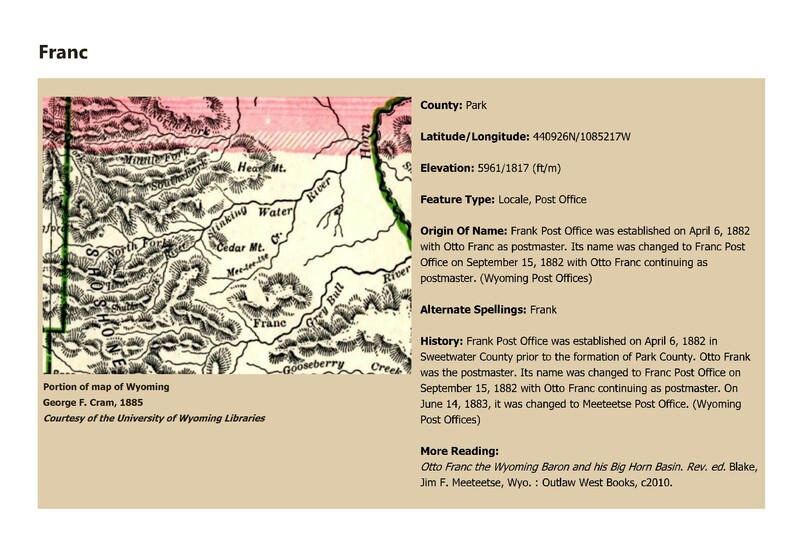 Topic: Otto Franc the Wyoming Baron and his Big Horn Basin. Rev. ed. Blake, Jim F. Meeteetse, Wyo. : Outlaw West Books, c2010.